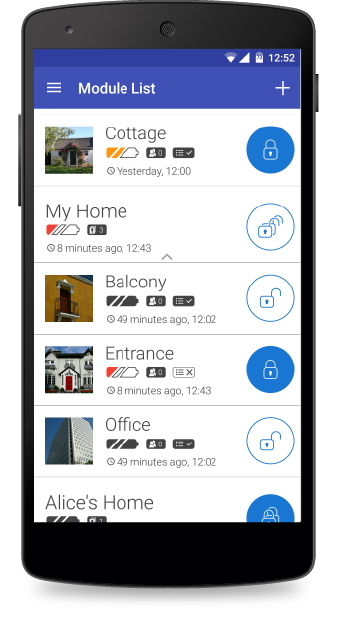 Doorito is a electronic security system designed for usage in doors or windows. 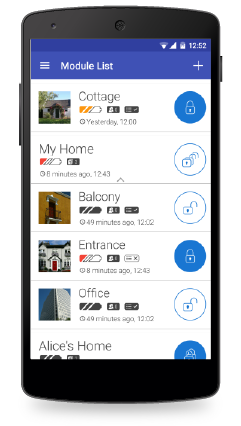 It can monitor the entrance door to your house, apartment, cottage or garage. 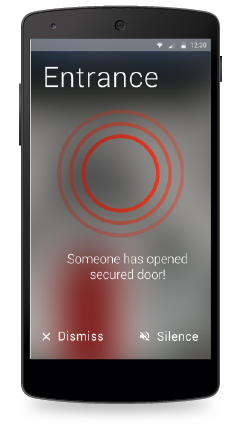 If a door armed by the Doorito system moves, an alarm is fired in your phone. 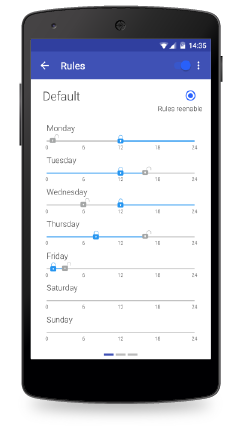 You can simply place Doorito into or onto your door. 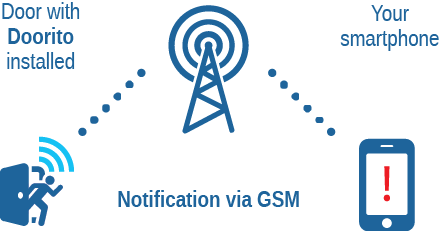 Then you download an application to your smartphone and pair the module with your phone. The basic feature is to arm/disarm the module using the app or a web interface. If you arm the module and the door moves, the application in your phone immediately reports an alarm. Operation of Doorito is free of charge for the first year. You can buy the the operation for another year in the user section. 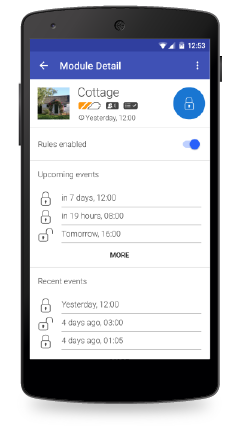 Using the application, the module can be controlled by members of your family or your friends, but only with your permission. Doorito can be easily fixed to any door or window or you can buy it as a part of your new door. Doorito is working only when the „Basic Operation“ service is enabled. You can easily activate it online. 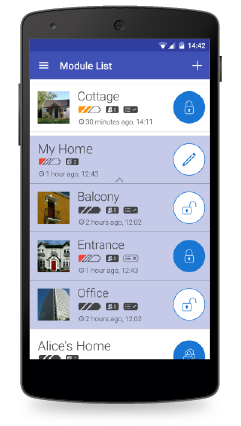 Do you need to make your apartment, garage or cottage secure? Thanks to independent power supply and wireless communication you don't have to restrict yourself. 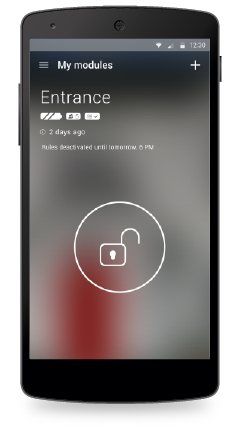 Locking/unlocking can be easily scheduled. Even if you forget, Doorito will notify you. Arming/Disarming can be easily scheduled. 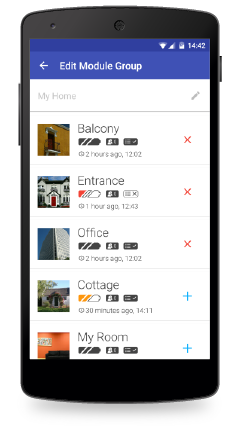 Even if you forget, Doorito will notify you. You don't have to charge the battery very often thanks to extremely long battery life. Doorito can be easily recharged using a USB cable. The device can be used right after unpacking. You don't have to buy your own SIM card as it is already in the device and runs globally. No other hidden fees. We have already paid the Service for the first year for you. The Service for the next period can be easily purchased online. You can buy Doorito in our E-Shop and at the retailers listed on this website. Trackito Technology Czech Republic s.r.o.